Throughout the month of April, Habitat will be highlighting the need for affordable housing and raise funds to make lasting change in our community. Your donation today will help us to unlock the future for local families in our community. Click Here to Donate Now – Your donation today will help us to unlock the future for families in your community. 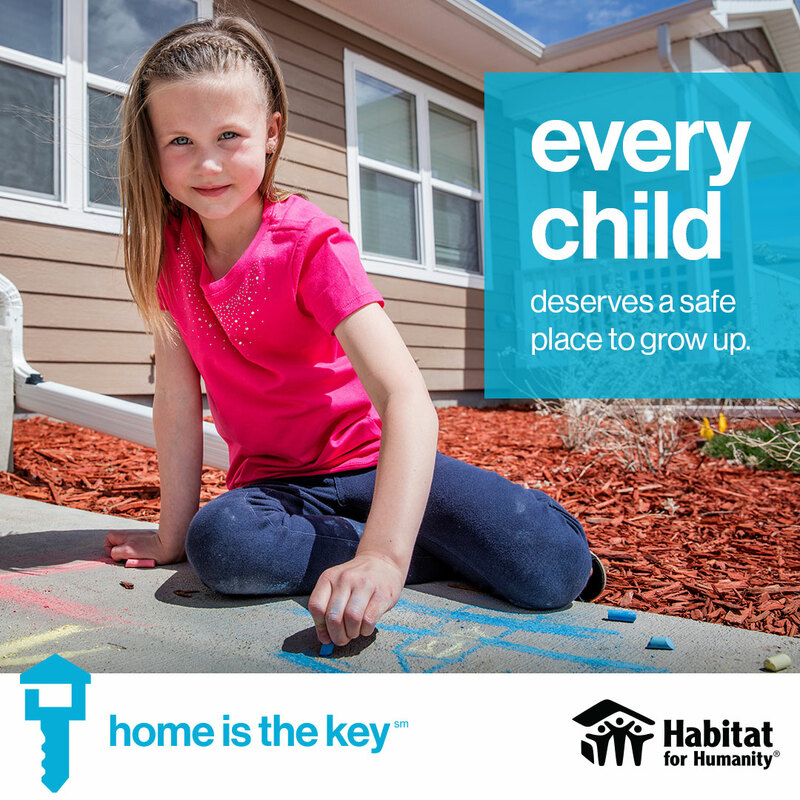 Use the #HomeIsTheKey. Join us on social media and together spread the importance of affordable housing. Shop at the ReStore and donate at the register – your donation will be displayed in the store.